Globally, people are smoking more than ever. Highest rates are reported in Russia and China. Nearly 50 years ago Surgeon General's report led to appearing of first anti-smoking campaigns. However, Journal of the American Medical Association says that cessation campaigns have not yet exceeded population growth. Smoking Prevalence and Cigarette Consumption in 187 Countries between 1980-2012 is a common report which reveals progressses in reduction of smoking rates and preferences worldwide. Its data shows that compared to 1980 in 2012 nearly 25% fewer males and 42% fewer females smoked cigarettes. Countries which reduced smoking rates almost two times are Norway, Iceland, Mexico and Canada. However, anti-smoking laws and changing attitude towards smoking did not help to reduce overall prevalence because of substantial population growth. The number of smoking women increased by 7% over the study period, while the number of smoking males increased by 41%. Seems like it is harder for males to stop smoking in comparison to females. 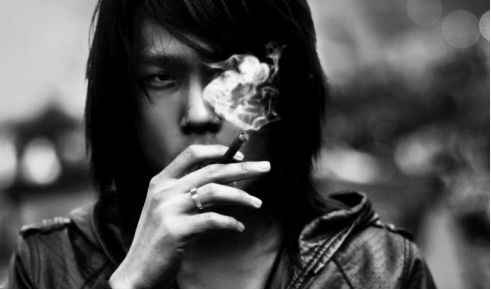 Data shows that 50% males in Indonesia, Armenia and Russia use at least one cigarette a day. In Chile, France and Austria smoking rate among females is 25%. Greece is global leader with 30% smoking females. African countries have lowest smoking rates among both males and females. According to Dr. Christopher Murray, professor of global health at the University of Washington, only legislation may help to succeed in fighting smoking. Experience of many countries shows that most successful methods are introduction of plain packs for cigarettes, increasing taxes on tobacco products, raising legal age to buy tobacco and large anti-smoking campaigns. In the USA smoking rates dropped only by 8.5% in 1980-1996, 5% in 1996-2006, and 1.8% since 2006. Russia is famous for cheapest cigarettes which are affordable to everyone. That is the main reason for high smoking rates in this country. Most popular type of cigarettes in the country are slim cigarettes. However, in Russia in 2014 was introduced first part of largest anti-smoking legislation which bans use of cigarettes in a number of public places and workplaces. In June 2015 comes into effect the second part of the legislation which imposes new minimum cigarette price and bans smoking in restaurants and malls. Certainly, tobacco companies do oppose the new change saying it would affect their business. However, the anti-smoking move is proved to be much stronger.